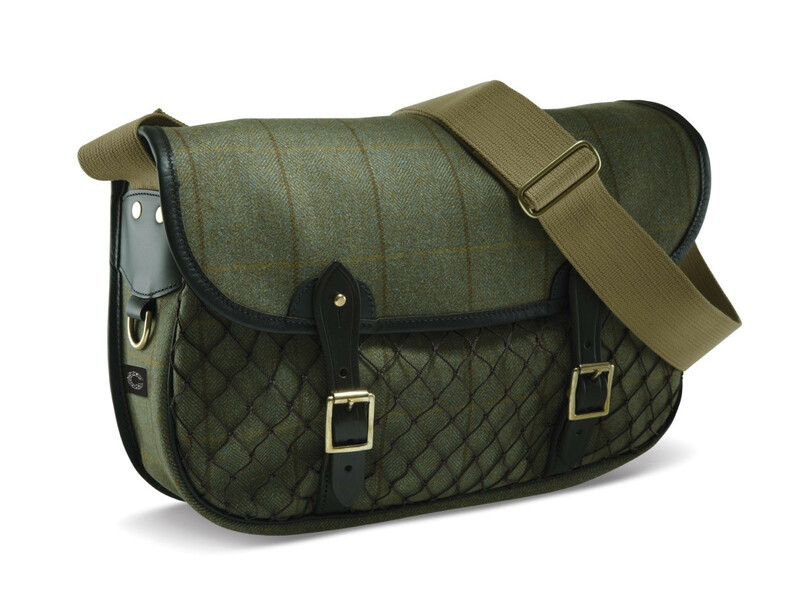 Helmsley Tweed netted carryall has a good-sized main compartment, a full-width rear pocket and a large netted pocket on the front. The cotton webbing shoulder strap is fully adjustable and is a comfortable 2" wide. Access to the bag is by using either the solid brass buckles or the quick-release brass studs.